Our services focus on converting IP into profit and to make sure IP adds to the company's bottom line. For this, we have focused on two key services: IP strategies and IP commercialisation. IP Strategies: Innovation & IP where we ensure that companies have the right IP protection to meet their business objectives. Key questions for investors and management are: How vulnerable is our company? How do I protect myself from patent trolls? Do we have the freedom to operate? What is the value and the cost of our IP? What do our competitors do? 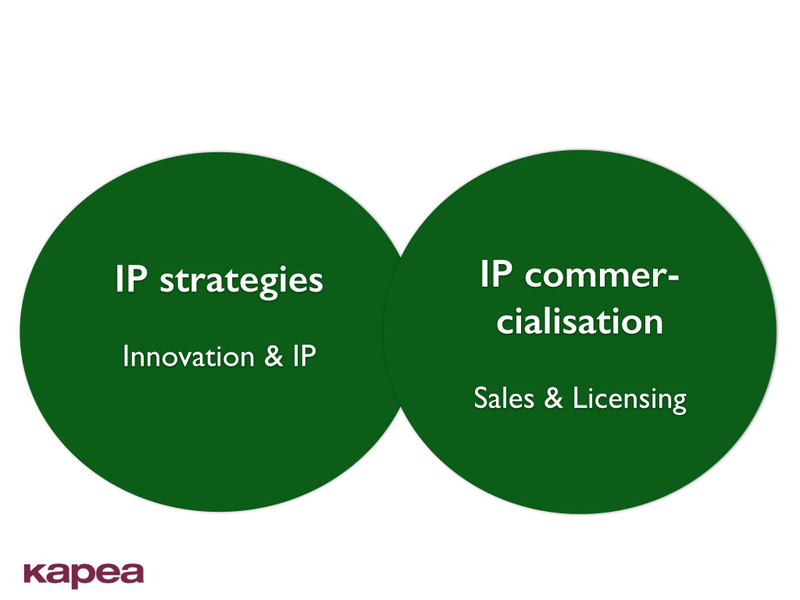 IP commercialisation: To some companies, IP is viewed as a cost. Others have realised that it can generate revenue. We show you the difference. If you want to sell your IP, then we have connections to a large networks of buyers. If we believe it is better to license it, then we will find the best licensees. In both cases, we can negotiate the terms and conditions for you.